There seems to be a version of this dish﻿ in half of the countries in East Asia and Southeast Asia. 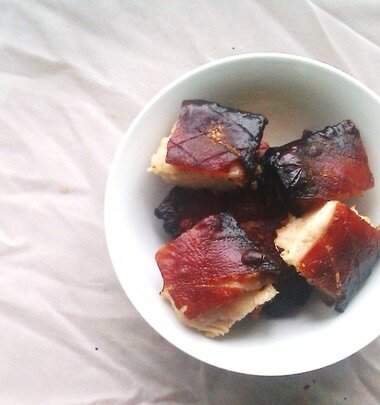 Pork belly is extremely popular in East Asian countries. 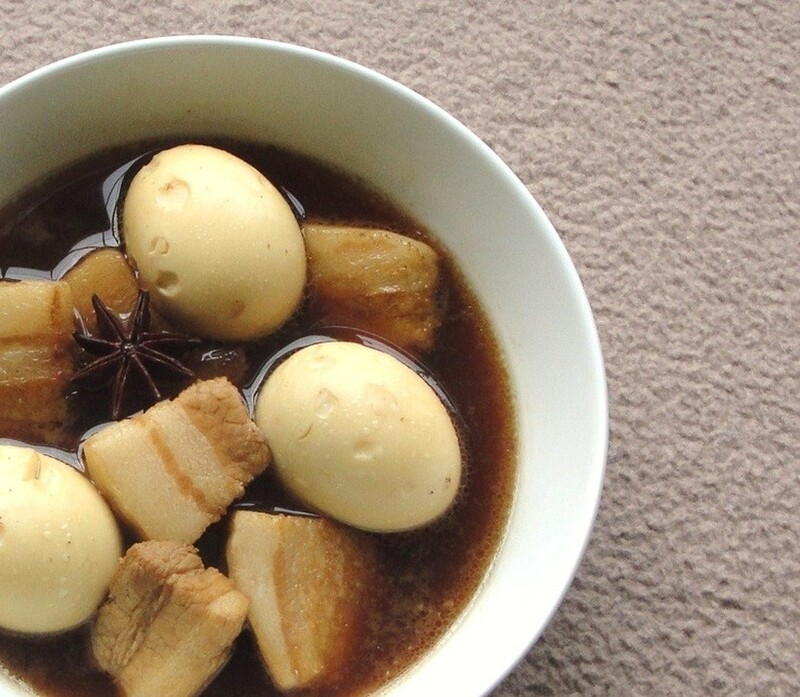 I decided to create my own version of this dish, which is closely related to Malaysia's Tau Yu Bak. 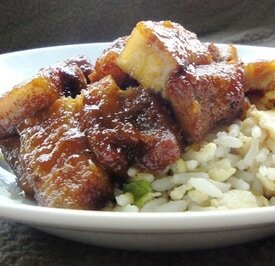 Tau Yu Bak is a dish of braised pork belly in Soy Sauce. 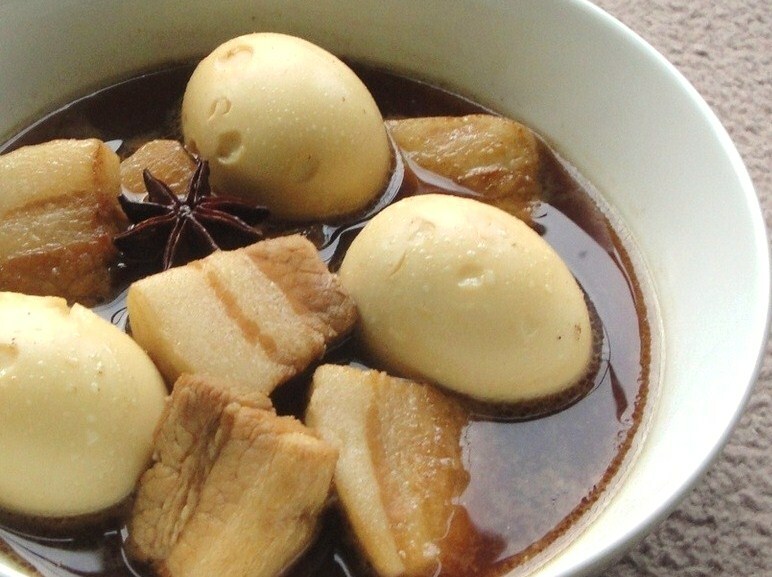 It is really an Asian Stew, often served with rice, but can be eaten as is, or with Asian Steamed Buns. I prefer to eat it as a soup. The dark broth is hypnotic, flavourful, and intense. I don't see why I should waste it by spooning the broth over rice. I had this soup the other day when I wasn't feeling well, and after a hearty bowl I felt much better. I think the dish is of Chinese origin, AND with ingredients such as Star Anise, Cinnamon Sticks, Ginger, and Five Spice Powder it is earthy and fragrant. It's also a humble dish, and is easy to make. 1. Wash the pork Belly and pat dry. Then cut it up into bite sized chunks. Sprinkle and season with a tsp of salt and 4 tbs of dark Soy Sauce. 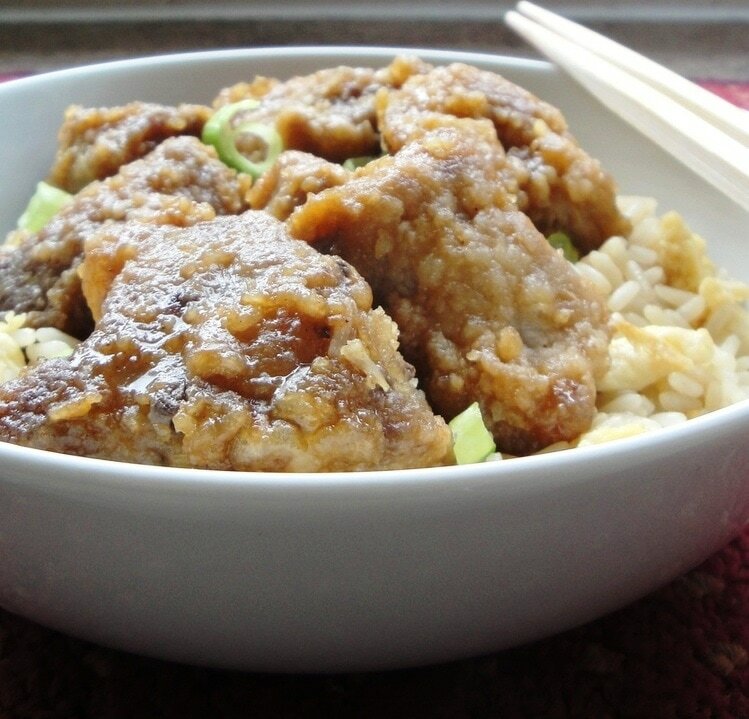 Rub the Soy Sauce into the pork and leave to sit for 15 minutes. In the mean time, get a large pot and place it on the stove. Fill with a quarter cup of water. Add the Sugar. Step 2 is optional but HIGHLY recommended. 2. Turn the Stove to medium high and heat the sugar, when it begins to caramelize (darken and thicken) add the pork. If it begins to burn turn down and add a little water, saute the pork in the sugar for about five minutes or until it darkens. 3. Add the water to the pot, turn stove high, add chicken stock cubes, and bring to a boil for about seven minutes. Then turn down on low heat and bring to a gentle simmer. Add the remaining ingredients, which includes another tbs of Soy Sauce, except the Star Anise which I add in the last fifteen minutes, as I find it overpowering. 4. Cover and Simmer after adding the ginger, onion, garlic, five spice powder, pepper, cinnamon sticks, boiled eggs, and cook for about an hour and a half. Check for salt and stir now and then. Then serve in a bowl or a Chinese Clay Pot.